Both the (Mostly) Fiction and Mystery Book Groups meet this week in the library mezzanine. New members are always welcome. View upcoming selections on our Book Clubs page. 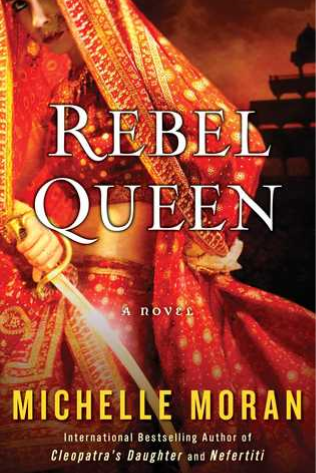 On Tuesday, November 14 at 6:00, the fiction group will discuss Rebel Queen by Michelle Moran. The historical novel shines a light on nineteenth-century India, bringing to life the breathtaking story of Queen Lakshmi, who, against all odds, defied the British invasion to defend her beloved kingdom. 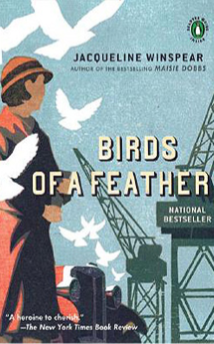 On Thursday, November 16 at 7:00, the mystery group will discuss Birds of a Feather by Jacqueline Winspear. Second in the Maisie Dobbs series, the book finds psychologist and private investigator Dobbs on another dangerously intriguing adventure in London between the world wars.